Our Buyer’s Guide Makes It Easy! Voice Over Internet Protocol, also known as Voice Over IP or VOIP, is a technology that allows you to use your high-speed internet connection to make telephone calls. VOIP has come a long way over the years, and since 2004, commercial VOIP service really began to grow. Big names in the business include companies like Vonage, Xfinity from Comcast, Wow! phone service and CenturyLink to name a few. They work very well these days. So how does VOIP relate to medical alert monitoring systems? Well in short terms – directly. Some medical alert monitoring systems require a telephone line to send its emergency information to the monitoring facility and then provide the speakerphone type communication between the central station operator and your loved one. Once you are connected to the monitoring center, you will be able to communicate your medical emergency and help will be on the way. Without getting too technical, your medical alert system acts a lot like a computer dial-up modem or fax machine. It sends a series computer signals over the phone line that are understood by the monitoring center. The basic information tells the central station who you are and what you want. Once it knows these things it allows the operator to start speaking to your loved one. There are a few problems with VOIP phone service that can cause no communication or intermittent communication between your medical alert monitoring system and the central monitoring station. Since these systems have been used for years on regular telephone lines, they know how to communicate across them. Communication standards also exist so equipment manufactures can be sure their equipment will work properly. Then here comes the internet and voice over IP. Well these services do not follow very strict standards, although managed networks like Comcast and others do provide a more reliable solution. It’s kind of like the wild, wild, west. Companies competing for business while inventing better technology along the way. Plus, depending on your internet service provider and your VoIP service provider (they don’t have to be the same) it makes it very difficult for equipment manufactures to make equipment that will be reliable on all networks and with all VOIP carriers. Another problem with VOIP is that it requires that the modem for your internet service and the VOIP equipment all to have battery back-up in case of a power failure, otherwise you (or your medical alert monitoring system) could not make a call. Even if you had days’ worth of battery power (not very practical) your internet service provider would have to have battery back-up services all across their network as well. Most of your big providers would have a reasonable amount of back-up, but you may only have up to 24-hours at best. A regular old telephone line would most likely work in this situation although they are becoming more difficult to come by. Will VOIP Work For My Medical Alert Device? So, the answer to the question of will it work for my medical alert device is – not reliably. It might work sometimes, or even most of the time, but with life-safety involved it really isn’t worth the risk. There are certain scenarios that can increase the chance of more reliable operation, but we don’t want to tempt you. Just keep your plain old telephone line or better yet, purchase a medical alert device that works through your cellular network and does not require a traditional phone line. 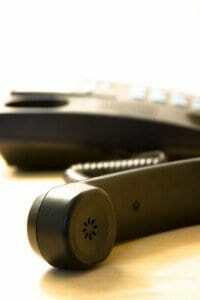 If your service provider can guarantee that their system will work over VOIP, then go for it. But we can tell you that’s virtually impossible from a technical standpoint. Someday, but not today. Also, it’s good to test your system to the monitoring center regularly. Even telephone lines can have problems. Most good companies (like Life Station) program this feature automatically into their systems. Automatic monthly tests are good, but weekly tests are better (see the equipment section on our compare medical alert page or our medical alert system reviews for more information). The whole point of this system is to make you and your loved one feel more secure and for it to be there when they need it. Don’t take any chances with VOIP technology for your medical alert device system.